Help us raise £300 to bring Judith Weir’s ‘Armida’ and Ravel’s ‘L’Enfant et les Sortilèges' to life! This will offer a great opportunity to students, whether singers, directors, instrumentalists or producers, to work together to create a powerful night of music and theatre. We are MUMS – our night of opera is a highlight of our yearly programme! 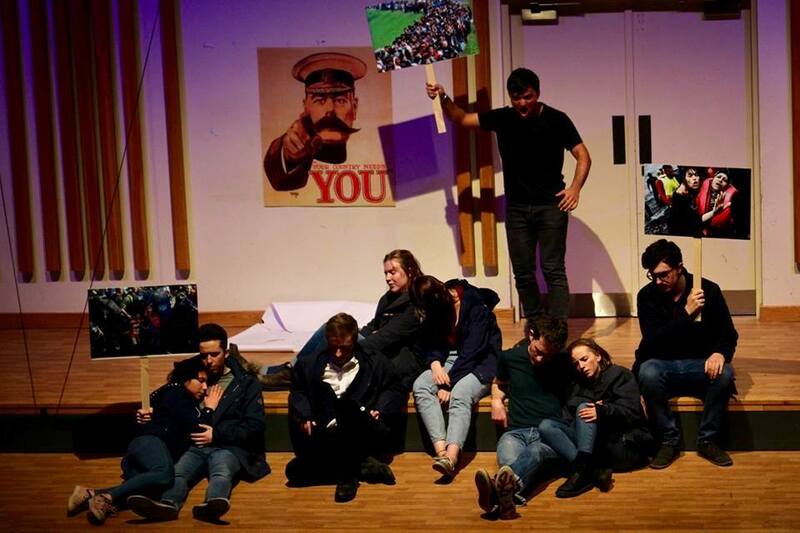 This 2019 opera project is brought to you by two creative teams composed of Music and Drama Students in the final year of their undergraduate degrees. MUMS presents two nights of opera! Witness Judith Weir’s ‘Armida’, a modern tale of love and war, alongside a chance to see Ravel’s magical, entrancing and enthralling ‘L’Enfant et les Sortilèges’. We are delighted to have the unique opportunity to be putting on the world stage premier of ‘Armida’ which was commissioned for a film by Channel 4 but until now has never been taken to the stage. We will reap the benefits of working with a living British composer, as Judith Weir will be coming to rehearsals with the cast. 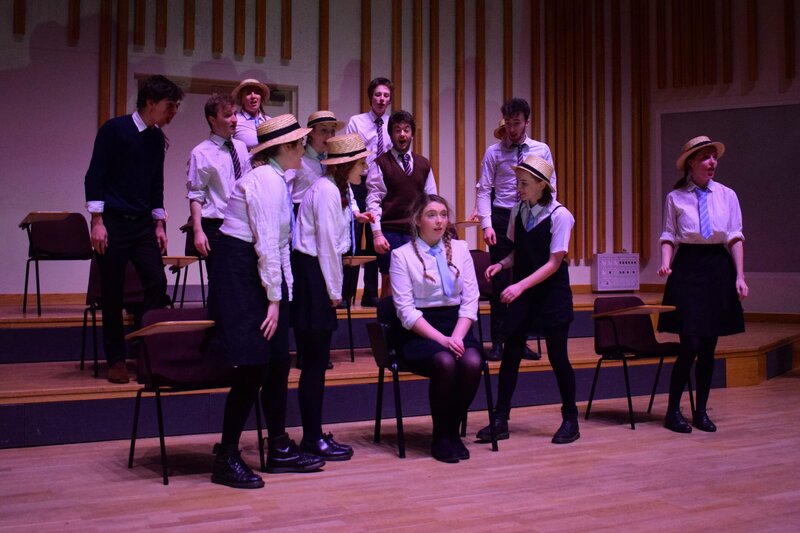 We will perform both operas on the 22nd and 23rd February 2019 with two incredible casts and creative teams composed of University of Manchester students. This offers students the opportunity to work in a new medium and learn valuable new skills in the process. It is important to allow young people the opportunity to engage with opera, an art form often considered too lofty and out-of-reach. The cast and creative team for these operas are so excited about the performances and care deeply about its success. Opera can often be seen as elitist and imitating and our aim is to remove this stigma and make it a more accessible art form. This will benefit not only the audience but also the students of The University of Manchester. For many of the cast, this will be their first opera performance - a valuable and career forwarding opportunity. The importance of bringing contemporary opera, especially a female composed piece, to the stage is paramount to spurring creativity. New York Metropolitan Opera has only staged two female composed operas in its history! We want to break this cycle and make female composed operas an equal part of the repertoire. Putting a show on comes at a cost, so we are appealing to you for anything you might be able to spare us. The hiring of a contemporary opera score is expensive, so this has reduced the amount of money we are able to spend on other aspects of the opera. Your sponsorship will go towards the production costs of the two operas to create spectacular productions that we can all enjoy. These are the minimum costs to stage the operas. If we exceed our fundraising target of £300 we will purchase better quality and more creative props and costumes as well as more immersive staging. We will give monthly updates about the progress of the opera and our fundraising to all our sponsors. The opera team thanks you for your kind support and for taking the time to look at our page. However, giving money is the most direct way to help us make our operas the best they can be! Please sponsor us now to make these operas happen. Get a thank you letter form the cast!! We will give you thank you a shout out via Twitter, Facebook and Instagram! We will include your name in a sponsors list in our programmes for the two performances.